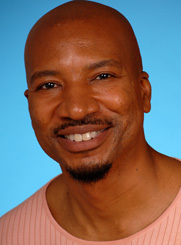 Richardson is an artist, filmmaker, and activist with involvement in several key African-American LGBT organizations. He also has a line of greeting cards featuring African-American LGBT and mainstream topics. He has been a volunteer with Chicago Black Lesbians and Gays, Adodi Chicago, Church of the Open Door, and Deeply Rooted Dance Ensemble. He has served on the board of the Center For Communications Resources. And he has been a donor to United Way, Church of the Open Door, Deeply Rooted Dance Ensemble, AIDS Foundation of Chicago, Youth Pride Center, and the Metropolitan Community Church.